In March 1858, two brothers mounted the scaffold outside Nenagh Jail in North Tipperary for the murder of John Ellis. One of the brothers, 19 year old Daniel Cormack pleaded “Lord have mercy on me, for you know, Jesus, that I neither had hand, act nor part in that for which I am about to die”. Despite his plea for clemency and the widespread belief of their innocence illustrated in a petition of over 2,000 signatures, Daniel and his 23 year old brother William were executed. The two brothers, originally from Loughmore, were then buried in a grave within the grounds of Nenagh Gaol (left). 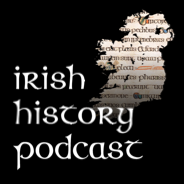 Many people who suffered a similar fate were lost to history but remarkably although it would take 52 years the Cormacks would be buried in their local area, exonerated and their story would gain international fame in the process. In this letter Leahy was referring to Ellis’ role as a land agent for local landlords and his role in numerous evictions. Over the coming months the police in the area began to fix their attention on William and Daniel Cormack** from Loughmore*. Their suspected motive was not to do with evictions but rather Ellis’ relationship with Kitty Cormack, sister of William and Daniel. John Ellis was known as a womaniser and was suspected of having a relationship with Kitty Cormack. This was only six weeks after Nancy Cormack (another sister) had given birth to a baby in a local poor house. The father of the child was unknown and the police assumed the Cormacks had killed Ellis to stop Kitty ending up pregnant in the poorhouse. With little evidence the police began to lean heavily on the only witness Thomas Burke to say he saw the Cormacks murder Ellis. This pressure saw Burke, the 16 year old driver of Ellis’ carriage, recant his initial testimony where he said he hadn’t seen the asssassins. After Police pressure he agreed to testify that he saw the two Cormack’s and a third man Timothy Spillane at the scene with a gun. To secure conviction the police ensured Spillane’s testimony against the Cormacks by promising him an amnesty if he verified Burke’s new story. This was despite the fact that Burke’s testimony was implausible given that it had been dark when Ellis was shot. The trial went to court in 1858 but only after great difficulty in securing a jury that was both acceptable to the prosecution and willing to hear the trial. The case was heard by the notrious judge William Keogh. 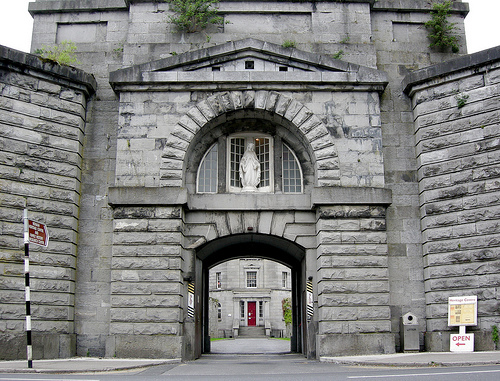 Judge Keogh’s was described in 1910 as “a man….considered personally, politically and officially….. one of the monsters of mankind” With a combination of Burke and Spillane’s testimony and Keogh living up to his reputation the two brothers were found guilty and sentenced to be executed outside of Nenagh Gaol. In spite of a large petition to have the sentence commuted which was signed by 2,357 people, including prominent members of the clergy, the two men were executed in May 1858. The execution created outrage with most people firmly believing in the brothers innocence. The issue was even debated in the House of Common in London when it emerged that the principle witness, Thomas Burke, admitted he had lied in court. Despite the obvious and widespread injustice of the case, Ireland was still recovering from the famine and there was little energy or confidence to mount a campaign for justice, indeed it would take 52 years before the the Cormack brothers would receive posthumous justice. Over the following decades Ireland the political landscape in Ireland changed massively, a change that would give people the confidence to demand justice. While William and Daniel Cormack mounted the scaffold in 1858, James Stephens was travelling Ireland establishing the Irish Republican Brotherhood an organisation the would become known as the Fenians. This organisation along with Home Ruler Party reorganised in the 1870’s began the long arduous process of building the nationalist movement in Ireland. By 1910 after decades of struggle on behalf of both groups, nationalists had become a powerful group in society. 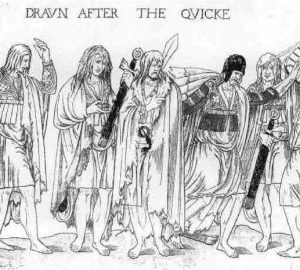 It was in this new climate a campaign for exhoneration for the Cormack brothers had political very popular. 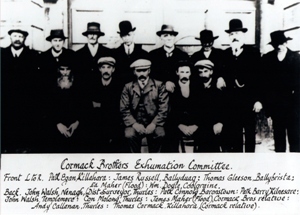 When people of Loughmore (the Cormacks hometown) and surrounding areas in North Tipperary organised the “Cormack brothers Exhumation Committee” they received widespread support. The committees aim was to return the remains of the brothers to their home parish. After a successful campaign to get the return of the bodies from Nenagh Jail the committee constructed a mausoleum for the Cormacks in the grounds of Loughmore parish church and organised a grand homecoming. At 11 clock May 9th, 1910 the remains of the Cormacks finally left Nenagh Gaol 52 years after their execution and began a 22 mile procession back to Loughmore. The event was as much as demonstration as a funeral with 20 marching bands, two prominent Home Rule M.P.s John Dillon and John Hackett and numerous branches of the National League (the biggest nationalist organisation of the day) accompanied by 600 jaunting cars. The Irish Times on 14 may of 1910 reported that among the crowd of 10,000 (many of whom wore green ribbons) was a certain Matt Mc Grath – the man who had cut the brothers off the scaffold and buried them 52 years earlier in Nenagh Gaol. The incident received international attention with an article appearing in the New York Times. Indeed the case even provoked a debate on capital punishment in the Examiner, a newspaper in Launceston, Tasmania. 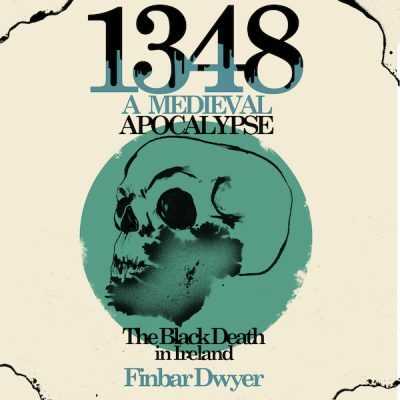 I am currently working on a short audiobook on the Black Death in Ireland. Set to the backdrop of 14th century war, famine and the impacts of a changing climate the book will be several hours long and will be available for a small fee in October 2011. Stay tuned for more updates. 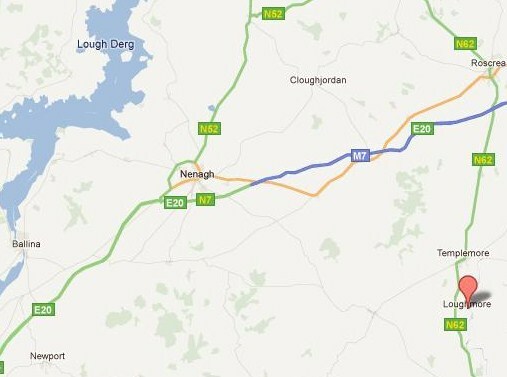 *Loughmore is the modern spelling, an older version is Loughmoe. **The Family name is Cormack, not unusual in Tipperary, this is not to be confused with the name McCormack mistakenly cited by New York Times.